Care to be Different > Articles > NHS Continuing Healthcare > NHS Continuing Healthcare: Should social workers be involved? In this particular case, the family was also told that if their relative was self-funding then there was no need for the local authority representative to be there. Firstly, no one can say whether a person will be self-funding until the Continuing Healthcare funding assessment process is complete. That’s the whole point of the assessment process. Any health or social care professional involved who does not understand this has a serious gap in their knowledge and should not be influencing the funding decision. Secondly, whether or not a person pays for care has nothing to do with how much money they have or whether they own a house. Instead, it is about the extent of their care needs ONLY. 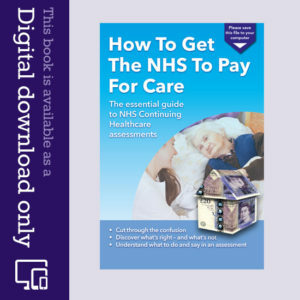 Thirdly, the fundamental principle behind the NHS Continuing Healthcare assessment process is to ascertain whether a person’s are needs are above or below the legal limit for local authority care. Here’s a general rule: local authorities provide social care (which is means tested) and the NHS provides healthcare and nursing care (which are not means tested). The divide between social care and healthcare/nursing care is a legal divide, as seen in the Coughlan case. If the NHS pushes responsibility for care onto a local authority, and claims that the care needs are just social care needs, it risks putting the local authority it an illegal position; at the same time, the NHS fails in its duty to provide nursing care free at the point of need. Once a person has got through the initial Continuing Healthcare Checklist assessment (stage one) with the required ‘scores’, they are put through for stage two, the multidisciplinary team (MDT) assessment; a social worker or local authority representative must be involved at this stage. Why? So that a judgment can be made by the local authority about whether the person’s care needs are beyond those for which the local authority can legally take responsibility for. It is only if a person’s needs are definitely within the scope of local authority social care that they should ever be means tested and become self-funding. 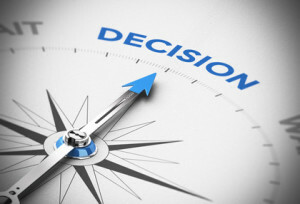 A good MDT decision must explore the views and input of everyone involved, including the local authority. If this does not happen, it is impossible to reach a reasoned and accurate conclusion. See National Framework page 71-72, paragraph 28.1. For that reason, a local authority representative must be involved, in order help determine which side of the legal NHS/local authority ‘line’ the person falls. It has nothing to do with whether the person currently has money/assets or whether the person is currently paying for care. This is irrelevant. The new Care Act reinforces this point very clearly. See also National Framework page 74 paragraph 30.2 and page 75 paragraph 31.2, plus pages 100-101 for more information. If the NHS refuses to invite the local authority to attend the MDT meeting, contact the local authority yourself (write to the Head of Adult Care and your social worker contact if you have one) – and make the point very firmly that the local authority risks acting illegally if they allow the NHS to pass responsibility to the local authority without thorough assessment of the extent of care needs. Have you come up against this problem in the Continuing Healthcare assessment process for your relative? I have been going through the CHC process for almost 5 years. My partner initially had CHC funding (going to Nursing Home direct from hospital). This continued for approximately 18 months – 2 years and was then reviewed, and funding removed. I went through the appeal process, which was finally and fortunately overturned. I have since then had an annual review (2017) and CHC funding continued. I have just now had another annual review, and it turned out that this was a MDT meeting / based on the DST. The Nurse Assessor told me that the Social Worker had been invited but would not attend due to workload! All the domains remained exactly the same except one, which had a higher score, so surely there should be no change in funding. My understanding is that the MDT / DST is the 2nd stage of CHC funding and then annual reviews thereafter. Or is use of the DST normal procedure? I’m sure we just used a checklist in last years annual review. And as per usual they spelt my partners name incorrect (twice), sent me 3 copies of all paperwork (one recorded delivery) and they also said in the letter it was a 3 month review, which it clearly was not as the last review was 2017. As per normal far too many errors. My mom has been moved to a Care Home pending a full NHS Continuing Healthcare (CHC) assessment. The Checklist was completed in hospital and she qualified for the next stage. The CCG are now telling me that they will make their assessment based on the notes/monitoring of the Care Home Staff and do not plan to do any background research, as the assessment is not “diagnosis-led”. She has psychosis which causes many different states of mind/moods and I feel in this case a report from her assigned psychiatrist would be beneficial. I have spoken to the psychiatrist’s secretary who says they will happily provide the CCG with whatever information they want but they have to request it directly from them. What can I do to make sure her case gets the consideration it should? At Mums recent Multidisciplinary Team meeting (Decision Support Tool), done as a result of the review of her funding saying her needs has changed, the social worker arrived late, hadn’t met my mum or read her notes. She seemed keen to criticise the home and actually told them what they should be doing at one point. Mums NHS Continuing Healthcare (CHC) funding was withdrawn and I asked her what social services attitude would be to me taking mum home and employing carers. She replied that couldn’t be done as she needs 24 hour care and 2 carers. Yet she argued her down in most of the domains! Is that her role? The Social worker involved in my dad’s case made an apology (that was noted in report) not to attend meeting. Does this make the decision flawed because of no social worker in attendance ? Multidisciplinary team (MDT) has to be just that. If members of different professions were present then technically it was an MDT. Social worker (SW) not essential but would folllow up with complaint to head of LA and adult social care ; which side of the legl limit does the SW place your relative? If beyond the limit then SW should have put a written report in at least else the LA may be being put in an unlawful position. For a vegetative state NHS Continuing Healthcare (CHC) funded patient, where the NHS are picking up the tab, do follow-on CHC reviews have to involve social services? There was only one review in the last 12 months of my brother’s life (he died Oct 2012) and social services did not attend. In all the paperwork there is no evidence of the appointment of an IMCA and social services have no record of a personal representative. When things went awry there was no one to contact and best interests were never properly established- eg no readmission directive on discharge vs an actual attempt six days later to try to readmit for coffee ground vomiting but turned back to the nursing home. If best interests are unclear to nursing home staff, should the Court of Protection be approached by the care providers? Should the nurse attending the Multidisciplinary Team (MDT) be a registered mental health nurse as my mum has alzheimers? Also, at the 12 month review the nurse said that she would be started over with mums assessment and assessing her current needs only and not detailing any evidence to support any improvement or decline in my mums needs. Mum has had Continuing Healthcare (CHC) for three years and her needs have declined rather than improved and I have evidenced this in many of the domains, but the nurse said that is not relevant it’s just based on what she sees now. She didn’t spend any time with my mum and just looked at care home reports. I’m now preparing for the MDT for end of Sept, but suspect she will just minimalise mums needs to cut funding. Any advice of how I put my views across and should she be evidencing decline in needs. My mother is currently fully funded through Continuing Healthcare (CHC) but is now living in a dementia/nursing care provision nearer to me. When CHC was initially granted by Health and Social Care [as she was being partially funded at that point] we moved her nearer to me with full agreement from all parties. Adult Social Care from the original authority has attended all the annual reviews together with staff from the CCG who are currently funding her. Her annual review is now due but adult Social Care from the funding CCG is currently stating that they will not attend as her ‘ordinary residence’ has changed. However, the local Adult Social Care has not, to my knowledge, accepted this responsibility. My reading of the current guidance suggests it should be the original authority that she was living in prior to CHC being granted, but would welcome any thoughts or experiences please???. 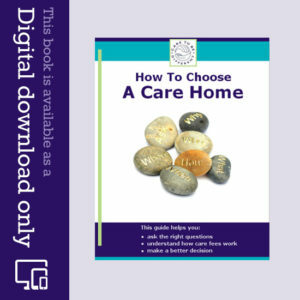 If your mother lacked capacity to make the decision to move to a provision closer to yourself then the decision has essentially been made on her behalf as a best interest decision. Therefore, she should be under the original authority. This would only change if your Mum made an informed decision to move out of the area. I wonder if someone could please clarify something for me please. Does the representative who attends an NHS Continuing Healthcare assessment on behalf of the local authority have to be a qualified and registered social worker? Or is it sufficient that the local authority representative was qualified (but not registered to practice as a nurse at the date of the assessment) as a nurse? The National Framework speaks of a Multidisciplinary Team being at least two folk from different professions; the NHS Model etc states they should be appropriately trained. We have just attended a Multidisciplinary Team (MDT) meeting followed by a local resolution meeting about the MDT. The local authority (LA) rep attended the MDT without having assessed or even met the person the MDT was about, the MDT was ratified against the claim even though there was no evidence whether or not the client was within LA limits. Your experience is not unusual, Ian – many LA reps don’t seem to understand their vital role in the Continuing Healthcare process. In addition, to attend an assessment without knowing anything about the person being assessed is shambolic – to say the very least. Mum in law turned down twice (breast cancer, bed bound, seizures, parkinsons, arthritis, abdominal mass/bowel perforation, severe anemia etc). Met with social worker from local authority (LA), asked her for her understanding of Coulghan, the legal limit etc. She openly admitted has no idea what these were; asked her if she had participated in the assessment/multidisciplinary team (MDT) process. No, she hadn’t been invited and never had been on any occasion! At this point, mother in law’s consultant came in at her invite, confirmed she had dementia (at previous assessments had been temp delirium; he confirmed her anaemia, seizures, bowel perforations were all severe unpredictable and unstable. Have now asked for Fast Track Continuing Healthcare. This has been initially refused as staff nurse says only if has 12 weeks to live, as local policy. Time for the Chief Exec to get a grip. Indeed it is, Richard. Fast Track funding does not have to be end of life; it can be for periods or rapid deterioration that are not end of life. The statement by the staff nurse is nonsense. I have been awarded CHC care this week. I have a social worker and an OT through the local authority. Both are helping me with an on-going case with the local council as I have major repairs due soon re my disabilities. I have now been told I do not have them anymore through social services. what do I do now? Repairs and improvements and Occupational Health support are usually the council’s task, and are not the task of the NHS. The NHS is there to provide for your total healthcare and so called social care needs. If the council considers that the NHS should fit hand rails or a walk in shower then I suggest that you get the council to ask the NHS to do it. They might understand how ludicrous that sounds and get on with it. But don’t hold your breath. Hi Jane – When a person receives CHC, this covers all their health and social care needs. I wonder if that’s what they meant? Even if they did, though, it doesn’t mean each side can simply pass you from pillar to post because neither side wants to deal with it. Chris’s suggestion may be worth pursuing. Do let us know how you get on, as there may be others facing this same issue. You need to discover if the NHS carried out a “CHECKLIST” prior to deciding that there was not sufficient need for a CHC assessment. The fact that some kind of secret social care and NHS conclave was undertaken seems to me to imply that they short cut the NHS CHC process. To have had a joint meeting to decide on eligibility for funding without you the patient or an advocate present seems wrong too. This does sound like “discharge to assess” a recent process that appears to me to be unlawful, because in these circumstances, the National Framework actually requires that a genuine Checklist is undertaken before discharge. “Discharge to assess”, does not produce such a document. (At least, in our area they were incapable of producing one for me). Try now to get a full NHS CHC assessment for your loved one. Then I might argue that if funded, the matter should be backdated. Sorry if this question is in the wrong place. Do Social Care Managers have to either tell the patients family to apply for CHC or do they have a duty to inform the CCG of a service user who may require a CHC assessment? I ask because in 2005 my mum came out of hospital after a stroke. I have been told the ward team and social services “assessed her” on discharge. I have been told she would not have qualified for CHC at that time – I believe she would. I was never told or advised about CHC and the one time I asked about it the social care manager said mum wouldn’t be entitled. Mum had a couple of other spells in hospital due to infections; the longest being a week, yet not CHC assessment was ever done. Should she have had one after each discharge? A local authority (or council) has a duty to inform the NHS if they believe a person may be eligible for CHC funding. The NHS then has a duty to assess. Under the Care Act a person must now be assessed prior to being discharged from hospital – although in 2005 the law was slightly different. The statement from the social care manager is sadly not unusual – and yet no one can possibly say whether a person would be eligible for CHC without the proper CHC assessment process taking place. Of course Social care workers should be involved at a CHC assessment. The National framework actually requires it. Especially if there is going to be an attempt to discontinue the funding. However the NHS can carry out a “Checklist” without the attendance of Social care workers. In our region the Social care workers actually carry out their own assessment separate from the NHS’s CHC assessment and very often prejudge matters from that. As such they don’t challenge anything that the NHS tries on at CHC assessments. In 2014 I actually had a Social care worker state. “I know what is required for a person to obtain CHC funding and I can assure you that your father in law does not qualify.” So much for a proper assessment then!